A few weekends ago, I went out on a little hut trip to break in my new Scarpa Gea boots. Now I do not recommend breaking in your boots with a 7ish mile skin in to the Eisman hut but they worked like a dream! They are marketed as the lightest 4 buckle boot (2 lbs. 15 ounces per boot). For people with a narrower foot, this is a perfect boot! 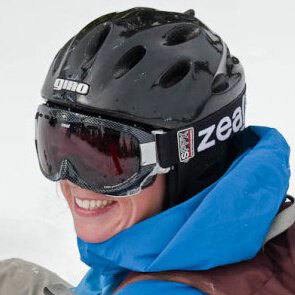 The cuff rotates to 24 degrees past vertical, which is great when you are skinning along. This makes it easier to take larger steps. Once locked down for the decent they ski great. The flex of the boot is a perfect mix of stiff and soft for an alpine touring boot. These boots do not have interchangeable toe blocks to make this an alpine boot for inbounds use. But, I am OK with that as this is a great boot! They retail for $599, not to bad. To read more about the hut trip, check out Mike Bean’s blog, Through Polarized Eyes.